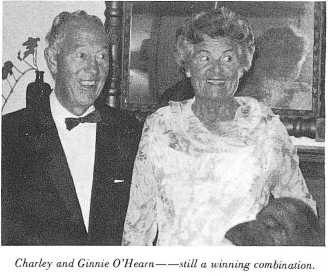 Charles O’Hearn dominated the game from 1935 through to 1950 and won ten National Championships—four times in Men's , five times in Mixed, partnering with his wife Ginnie for four of them, and the last Singles Championship. When he moved to New Haven, CT, in 1951, his involvement in the game declined, although he remained an excellent player. (Fox Meadow Tennis Club). 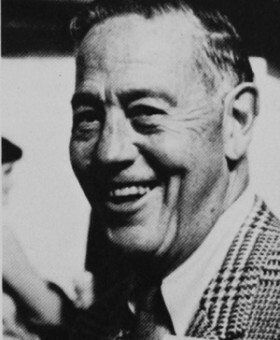 When Tom Yawkey bought the Boston Red Sox in the early 1930s, he asked O’Hearn to become the team’s General Manager. Charley turned him down because he wanted a more private life, and that decision had a major impact on platform tennis. Instead of life in baseball, he became the first of the group of five to start playing platform tennis and, for years, was generally recognized as the best player the game had produced. One of the principal characteristics that made his game stand out was his skill in mixing up his shots so that his opponents seldom knew what to expect. Despite a relatively weak backhand, his speed, his fine low volleys from deep in the court, and his deceptive changes of pace made him one of the finest all-around players in his day. A native of Brookline, MA, O’Hearn was the youngest of eight children. His father was a general contractor and landscape engineer whose best-known project was installing the field in the new Red Sox Park around 1913, with the help of his son Bill, an MIT civil engineering graduate. The drainage system they installed was so good that for years the natural grass field was considered the best in professional baseball. Charley graduated from Brookline High School in 1919, where he played football, ice hockey, baseball and tennis and captained the ice hockey and tennis teams. During his senior year, Clarence Parker, the school’s baseball coach, got a job offer to coach baseball and hockey at Exeter. Since Parker hardly knew a puck from a basketball, and ice hockey was one of O’Hearn’s best sports, Parker asked O’Hearn if he would like to go to Exeter for one year and made an offer that O’Hearn could not refuse. At Exeter, Charley played first-string quarterback in football, as well as hockey and baseball and was elected President of the Exeter Yale Club. After Exeter, O’Hearn attended Yale where he studied administrative engineering etudies and, as he said, “majored” in athletics as he played first-string football, ice-hockey and baseball, starting in his freshman year. After graduating from Yale in 1924, he started work for Goodrich Rubber Company, but then enrolled in the Firestone College Training Program to learn the business and embark on a career in tire sales. 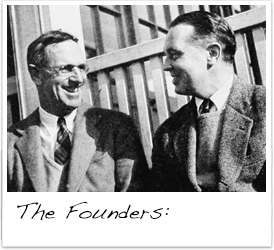 His success lead to a fast rise up the Firestone ranks that was interrupted by the 1929-1933 Depression, when a reorganization at the company would have meant a relocation from the metropolitan New York area and a disruption to his married life. As a result, he decided to change career paths and went to work as an account executive with an investment firm in New York City in 1930, securing investment funds. The firm was eventually merged with Scudder, Stevens & Clark in 1942. In 1951, at the age of 50 he resigned as a partner from Scudder, Stevens and Clark in New York City to become an assistant to the President of Yale University, in charge of fund raising. 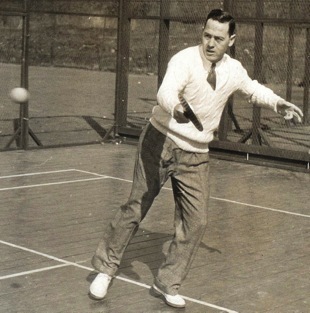 He new position meant a move to New Haven, CT, and an end to his involvement in platform tennis. The skill, however, remained. Blanchard commented that “when O’Hearn came back to Scarsdale for a weekend early in 1959, after having been away and out of the game for five or six years, I realized when I saw him play again that he should still be ranked with the best.” Charley retired in 1970 and began spending winters in Naples, FL, becoming a full time resident in 1991. He died there in April, 2001 at the age of 99. 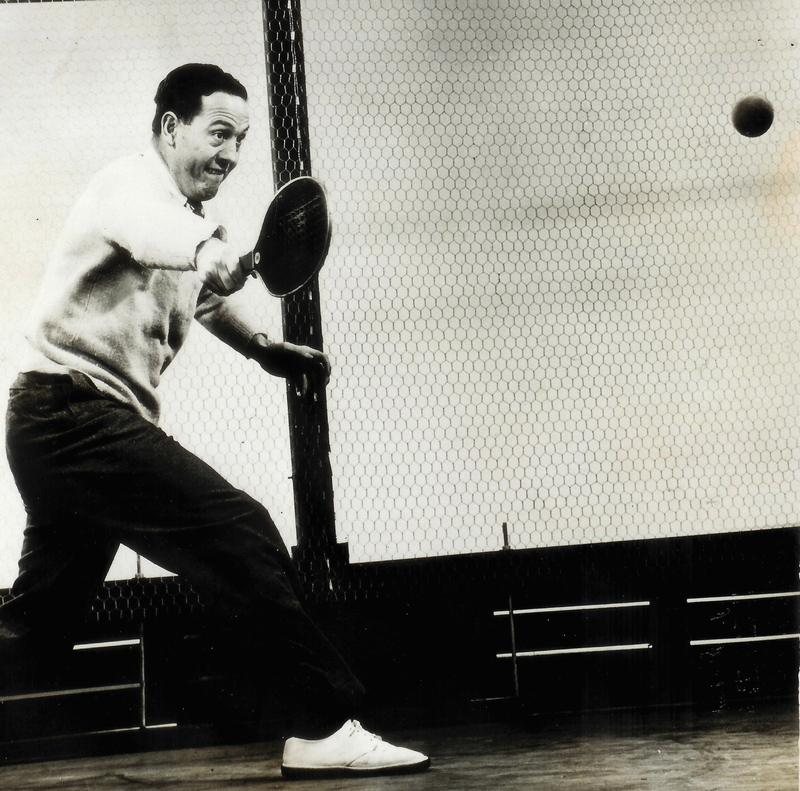 "No paddle tennis player in the early Thirties could have dreamed how far the game would develop over the ensuing fifty years . And yet, it was such a great, fun game that perhaps we should have known . With one court in Scarsdale, at Jim Cogswell's, only a handful of players were available and many a weekend I can recall Fes Blanchard phoning to say, 'It's stopped snowing. Come on over and help shovel and we can be playing by two o'clock'-and we were." "My greatest thrill? When our son Mike won the National Doubles (1965) long after I'd retired . I haven't played for years, but I still owe the game a lot. I'll always be in its debt for the pleasure it gave Ginnie and me."